Realme U1 has been launched in India as the world’s first phone with MediaTek Helio P70 SoC as well as the first handset in the brand’s new U series. 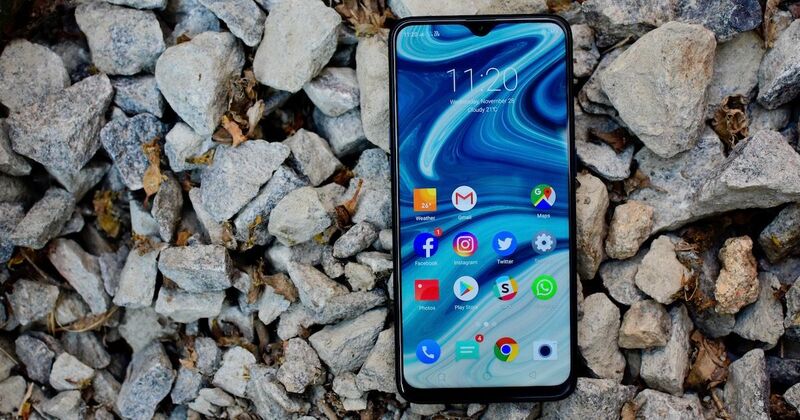 The handset is the fifth offering from the brand that entered into the market earlier this year, after Realme 1, Realme 2, Realme 2 Pro, and Realme C1. Apart from the new MediaTek Helio P70 SoC, the Realme U1 has a 25MP AI front camera as its highlight. The company also announced its first pair of accessories – Realme Buds and a phone cover – at the event. The Realme U1 priced in India is Rs 11,499 for the 3GB + 32GB variant and Rs 14,999 for the 4GB + 64GB option. The phone will be available for sale exclusively on the e-commerce site Amazon.in and will come in Brave Blue, Fiery Gold, and Ambitious Black colours. It goes for sale in the country starting 12pm on December 5th. Coming to the Realme U1 launch offers, buyers will get 5 percent cashback on SBI cards, up to 4.2TB data and Rs 5,750 cashback from Jio, as well as no-cost EMI option with the phone. As for the Realme Buds and Realme U1 Iconic Case, both the accessories will cost Rs 499. Talking about the specifications, the Realme U1 sports a tear-drop notch display – the company calls this Dewdrop display – that measures 6.3-inch and has a screen-to-body ratio of 90.8 percent. The 19.5:9 screen has full-HD+ (1,080 x 2,340p) resolution and a tiny-cut out up top that packs selfie camera. The octa-core Helio P70 chipset clocked up to 2.1GHz paired with ARM G72 GPU lies in the handset’s heart. The phonemaker ships the Realme U1 with two RAM and storage configurations: 3GB + 32GB and 4GB + 64GB. The storage is expandable up to 256GB on both the variants via a microSD card with a dedicated slot. On the camera front, the Realme U1 comes with an impressive 25-megapixel Sony IMX576 sensor with f/2.0 aperture lens and 1.8-micron pixel size on the front for selfies and video calling. There is also the AI Beauty+ feature to improve selfies by recognising 296 facial points to provide custom beauty solutions. The rear camera boast of a dual camera module with a 13-megapixel (f/ 2.2) primary sensor, a 2-megapixel (f/2.4) secondary sensor and an LED flash. Group selfies can be enhanced too using the Smarter Groupfie feature. Both the front and rear cameras have HDR. Powering the Realme U1 is Android 8.1 Oreo-based ColorOS 5.2, while a 3,500mAh battery fuels the handset. In terms of connectivity, the device includes dual SIM slots, 4G LTE support, 2.4GHz Wi-Fi, Bluetooth 4.2, a micro USB port, 3.5mm headphone jack, and GPS/ GLONASS. There is also a fingerprint sensor on the back of the smartphone. As for the Realme Buds, the earphones come with 11mm drivers for deep bass. The company says the design is ergonomic, with braided jackets and kevlar fibre for durability. The pair also has integrated magnets to connect the two earplugs. Along with this, the company announced it will release back cover for the Realme U1 in Black and Yellow colours.